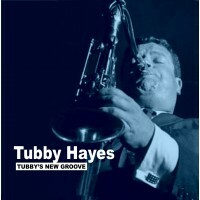 Producer Les Tomkins know Tubby well and recalls :”It was a happy live session, as usual, and the room was full of teenagers dancing and having fun. This was the Friday night jazz club I was running in 1950 in Raynes Park, S.W. London. A rather corpulent local lad, who laughed a lot, loudly, had turned up for the first time, bringing a gang of his mates. After listening for a while, he pushed his way up to the stand and said he’d like to sit in. The ebullient Lennie Hastings was the drummer. “What do you play then?” asked Lennie. “Tenor, but I haven’t brought it with me.” (Actually, it was in a pawnshop at the time.) The only saxophonist in the group was a baritone player - “Do you want To try this?” “Sure” said the lad - and proceeded to blow up a veritable storm for the rest of the evening. We were all staggered by the display of jazz virtousity. Before the boy wonder left, he gave me his card. “Edward Brian Hayes” it said. This was the great Tubby - at fourteen. Later that year the club moved to a larger hall in Sutton, Surrey - and I put Tubby in charge of the resident band. One week the star guest band was led by Ronnie Scott. Tubby was lapping up Ronnie’s searing jazz, and we urged him to ask if he could join him for a couple of tunes. 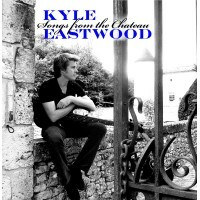 He was reluctant to do so, but eventually he did - and a tremendously exhilarating “battle of the tenors” followed. Eight years on, Tubby and Ronnie were to join forces to form the magnificent Jazz Couriers. A few weeks after the meeting with Ronnie, some of us - including Kenny Graham. I remember - took Tubby over to a club in Acton, where he sat in with trumpet star Kenny Baker. Kenny was so bowled over by Tubby’s talent that he hired him for his Sextet. That year with Kenny marked the launch of the Hayes career as a world-class British jazz artist. He worked with the big bands of Roy Fox, Ambrose and Vic Lewis; he went to the States and recorded with Clark Terry, Roland Kirk, James Moody, among others. 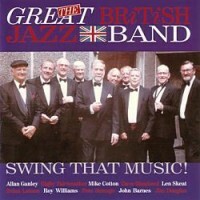 The absolute tragedy is that for all his immense potential, for all his development as an arranger/composer, as a player on vibes and flute as well as the tenor, as the leader of his own bands, such as the eight piece Little Big Band, the Downbeat Big Band (co-led with Jackie Sharpe) and as a partner in the Couriers, Tubby’s short life ended so prematurely while he was still in his thirties. 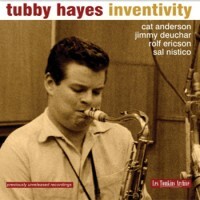 This collection represents three years of Tubby Hayes productivity. Between 1963 and 1966 at Ronnie Scott’s Club, I was able to preserve examples of his inventive interaction with various other fine British musicians. 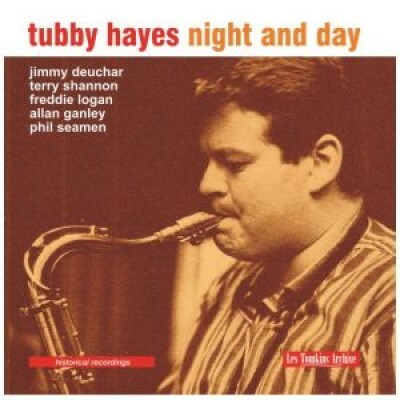 During this period as you will hear, Tubby switched over from the quintet he had with trumpet man Jimmy Deuchar to the more flexible format of a quartet. Because his exuberance would tend to take hold of him, Tubby built a reputation for dazzling technical displays. Therefore the two ballads here have a special significance. Spring Can Really Hang You Up the Most - complete, un-usually, with the verse - illustrates the control and timing of his vibes playing. I’m Old Fashioned gets a luxuriously spaced-out reading, wherein, rather than showing any Coltrane influence, as was sometimes said, Tubby evokes the tonal beauty and lyricism of Stan Getz.